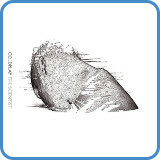 ‘The Scientist’ is a single from the band Coldplay. The song has a great music video, telling the storyline backward. Originally composed and performed on the piano, this one guitar arrangement uses an open tuning, something Coldplay do well, especially on their first (and in my opinion best) album ‘Parachutes’. 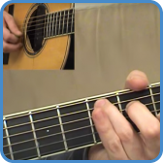 By allowing the top two strings (tuned to C and F) to be a part of every chord we get different extensions for the chords that are unique and bind the chord progression together. This is a similar technique to how ‘Wonderwall’ is arranged. 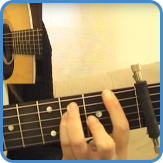 In the video lessons, you’ll see all chords played for the entire song using an open tuning. In most piano players’ favourite key of F, these are the chords during the intro/verse/outro. The chorus has some strange extensions, the progression is simple, using only chords IV – I – V.
Finally, the instrumental section has just two chords. 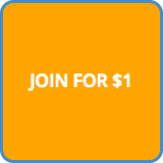 Take the intermediate guitar course and get the TAB and full explanation of what’s happening in the video lesson. The extensions created in ‘The Scientist’ are mainly achieved by utilizing the two top open strings, now tuned to C and F.
Many artists have based their arrangements, and sometimes entire sets, upon open tunings. John Martyn, Nick Drake, Joni Mitchel, and Ani Difranco have all created signature sounds with their tunings, sometimes ending up with one tuning per song! If you feel this could be the way forward for you, start by changing only one or two strings. 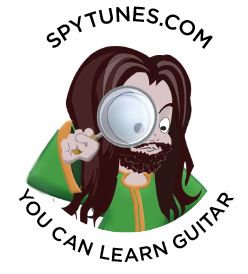 This will ensure you have a chance to know what’s happening on the fretboard. Once the open tuning bug has bitten, it might never let go!